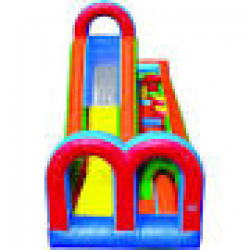 Race through the obstacle course to reach the slide! So much fun with this unit! 27' X 10' and 15' high at highest point.